One of the jobs I had while working on last year's Need for Speed release "Pro Street" was the design of fictional street race/drift car crews to populate throughout the game's universe. I spent a bit of time researching Japan's famous street race and drift crews and did my best to try and capture this feeling in game. One of the main design premises of Pro Street was to look the cross over point between illegal street race/drift scenes and legit organized events… Coming from the street and moving across to the track if that makes sense. This past Sunday was the first time that I've been to an organized drift competition filled with this street style drift culture. Sure in D1GP or Formula D you hear about well known drivers or car builders who come from a background of street racing, but all in all, the involvement of sponsors, corporations and professionalism means that most evidence of this past is largely hidden from view. duty on types of roads other than closed course race tracks. These are real street drift cars. Without the involvement of sponsor logos covering the cars you are left with wordmarks and icons pointing to the street drift crews who form such a strong culture in Japan. The one crew with the largest physical presence at MSC was Magician. They appeared to have a least 4-5 cars at the event with an even larger group of gangster looking people surrounding them. I wouldn't want to get on the wrong side of this group, especially on a dark Japanese mountain road at three in the morning! They were friendly enough to Antonio once he was able to show he is down with the right people, but I preferred to hang back. Let the friendly American guy do all the talking is my chosen method sometimes! Even so, they played a little trick on Antonio at the end of the event which I'm sure he'll tell you about in a later Speedhunters posting. See the Magician logo on the chin spoiler? I'm pretty sure this is the same car that is seen in this JDM Insider video here doing, well…..crazy illegal drifting on public roads…. Have a look…. Same car yes? Remember children, don't try this at home! 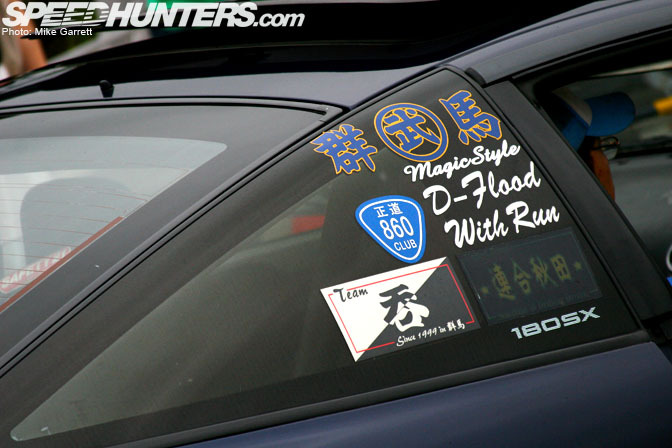 I take most of you will be familiar with the whole culture of Tomodachi stickers on drift cars? 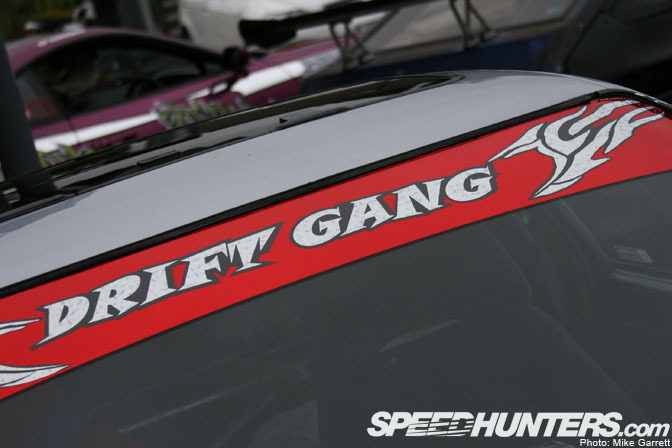 Basically the idea is that the drift crews trade stickers with their friends and adorn them on their cars. 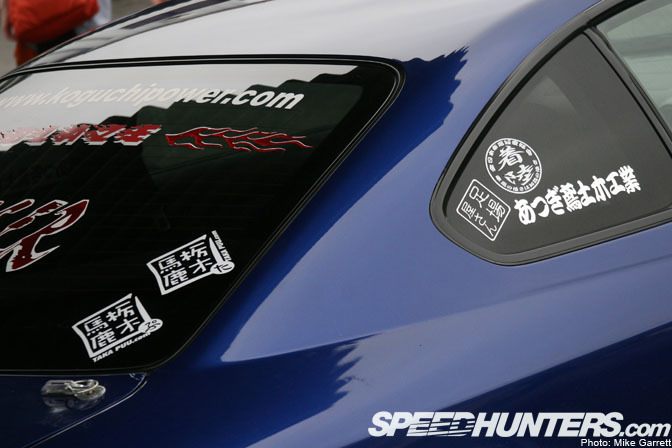 So if you know what you are looking at (and I certainly don't) you can see a lot about the area, lineage and scene a drift car is connected to by checking out at the stickers. Antonio will go into this subject in more detail in a future "101" posting. Looks almost like tribal tagging to me….. 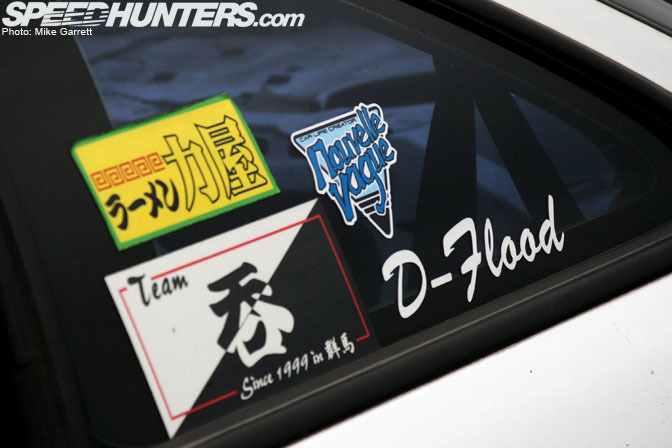 If you look closely at any pro D1GP machine, you'll see these stickers too. Pretty well all D1GP drifters come from a street drift background. The tomodachi stickers just get lost under all the crazy Japanese pro drift graphics. How much of this culture would you say has gravitated to the west? Are any of you running these types of drift crew markings on your cars? Ok that's it from me for now… tomorrow Antonio and I are saying goodbye to Mike Garrett and his lovely wife Kaori and will be taking the train to the Sukuza area…. Anyone take a guess what we'll be shooting there? We rock team Speed Hero. Stickers will be available soon if anyone wants to trade. 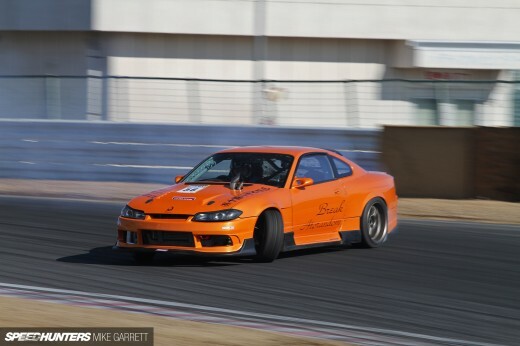 Team Magician is so cool, I love their S15. 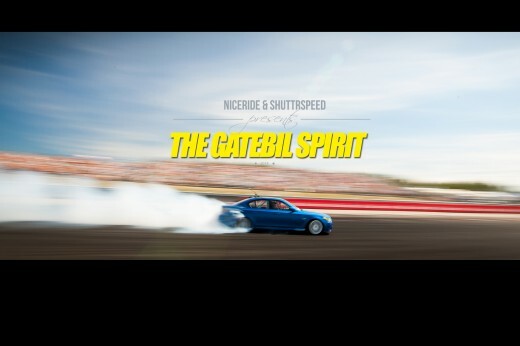 I love speedhunters. Think its the best thing since sliced bread. I am a huge fan of Drifting and the Japanese culture that surrounds it, including the great tracks they have. I am from the UK and probably the closest coolest drift track we have is LLYD Raceway. Anyway, to do with the Drift crew stickers. I run a driftworks sticker on my windscreen and all of my friends locally. Basically if you are into drifting in the UK, you usually reprasent Driftworks as its a really good community. I don't think we are upto drift crew standards as yet, but we are getting there. One of my local friends has set a team up called team white. Basically its supposed to be all white cars, but as we are a small group of local friends he kinda let a few blue cars and my silver mx5 in lol. There is also a team green in the uk, who are pretty good, and tramp drift is another. 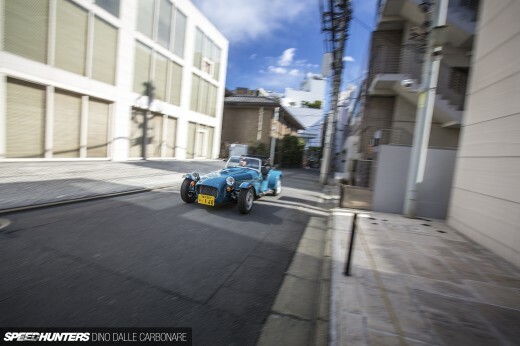 But atm i can't get enough of the drifting blogs and coverage from Japan. Its all about the STREET ! how many overhyped internet drift superstars drift on the STREETS and have touge and street credit ? theyre all wasting time blogging and doing project aero write-ups on the net . Its very few to see real guys doing this lifestyle and risking it! Thats why I respect Japan , they all go to the streets/touge and drift and risk it and drift at the drift tracks . Hey liamsil80, thats not a Verossa, it's a JZX110 Mark II. But great post! Once I create a drift club with friends, we will do the whole tomodachi sticker trading thing also amongst other groups. Marionette vs. FNR you must be some awesome elite touge master defending his mountain pass against rival teams. what a joke. Hey Rod, I'm playing through NFS: Pro Street at the moment and I must say your attention to detail is really commendable. I look forward to the 101 from Antonio. Are you guys working on 'Undercover' at the moment or will you be working on the 2009 NFS title? Heheh, Thanks Rod, I thought as much. 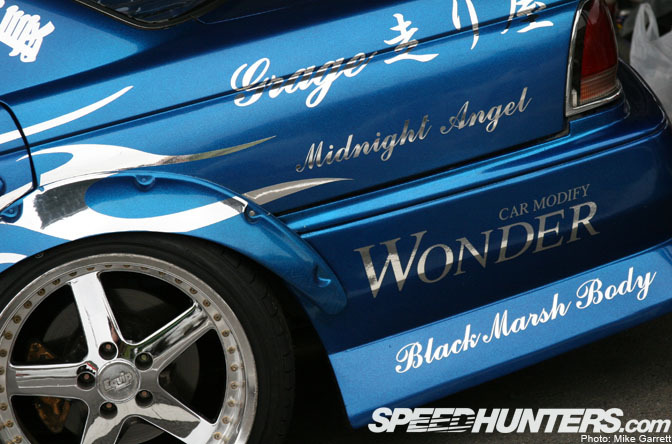 Hey Rod, I just spotted a Speedhunters Poster (with link) in the NFS Undercover website. Sweet! yeah good blog. the pic with the drift gang made me laugh. the characters from initial d do look like that...haha well at least the guy with the blue bandana.